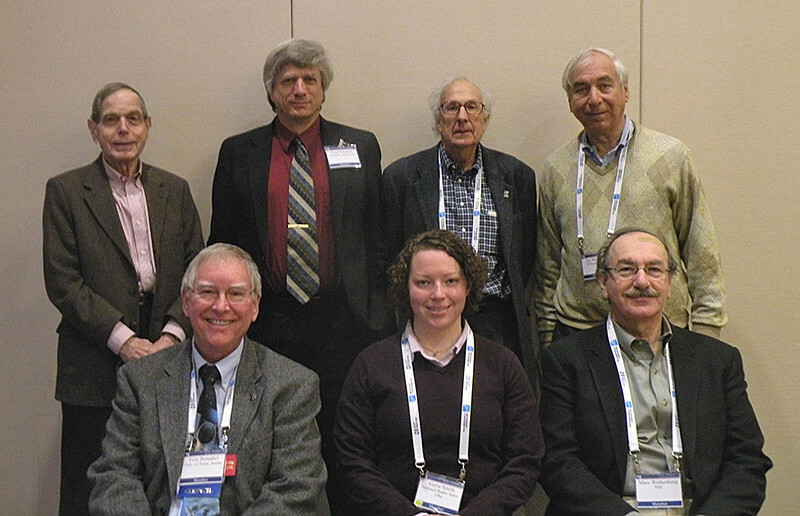 Historical Astronomy Division (HAD) VI speakers ― Front: G. Fritz Benedict (University of Texas, Austin), Sierra Smith (National Radio Astronomy Observatory), and Marc Rothenberg (National Science Foundation). Rear: Martin Harwit (Cornell University), Bradley Schaefer (Louisiana State University), Kenneth I. Kellermann (NRAO), and session chair Jay M. Pasachoff (Williams College). Photo by Joe Tenn.